As The Conscious Leaders Coach, I help individuals and business leaders transform their own leadership styles and their organizations by connecting authenticity to conscious leadership, which results in more profitable, effective, relevant and happier organizations. I work with Fortune 1000 C-Level Executives, Entrepreneurs and CEOs to help them bridge personal and professional mastery and enhance business results. Overall I have coached over 300 executives and businesses, from public to privately held firms. I serve as a catalyst to support owners and leaders in gaining greater clarity, and focusing on both the strategic mission and underlying purpose of their companies, while helping them implement the steps necessary to achieve their visions. Success stories have included coaching owners and executives through culture transformations, mergers and acquisitions, going public, explosive growth periods, right-sizing, downsizing during economic crisis, and re-invention. I can be both a coach and a player – advising or engaging. I am also chairman and founder of the Conscious Capitalism – Orange County Chapter, and have authored many articles on the subject of conscious leadership and business. Learn more. See what other business owners and conscious leaders are saying about Kevin and his work. Personal and Leadership Coaching opportunities are available to help the Authentic You become the Authentic Leader. Contact me to learn more about the Conscious Leadership Coaching Programs. Are you looking to inspire your audiences with information that will help guide them to the pathway to Conscious Living? As an Author, Conscious Leader and Transformational Coach, I provide a variety of topics on Authenticity, Consciousness, Conscious Leadership, Success, Mindfulness, Conscious Capitalism, Conscious Living, and Corporate Wellness. Learn more. 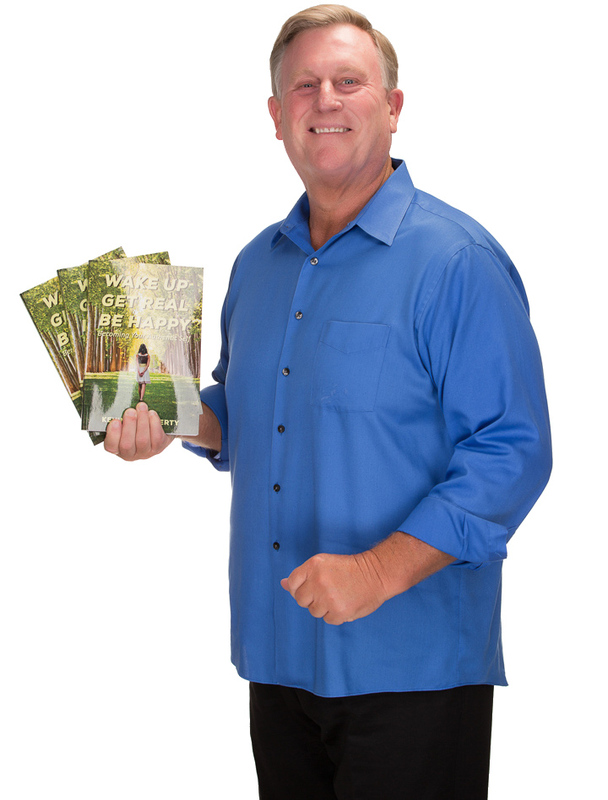 Author of “Wake Up, Get Real, Be Happy – Becoming Your Authentic Self”. I offer a unique workbook approach that helps you move closer to your goals of self-discovery and reveal your true and authentic self. I then help take your authenticity into your role as a leader with confidence, competence and vigor. Click here to see my book on Amazon.